Product information "Gespräche mit Hunden"
Many people talk to their pets but very few listen to them. 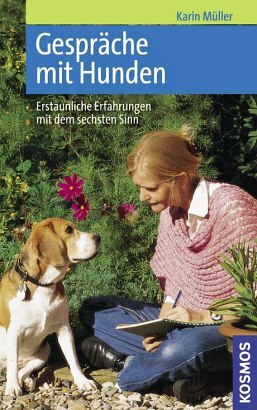 In this book the animal interpreter Karin Müller gives voice to dogs in an impressive manner: in touching dialogues the dogs tell about their lives, their emotions and also about “weak points” in the man-dog-relationship. Through this telepathic exchange the reader gains new insights and learns to understand dogs even better. The great thing is, this sixth sense can be learned by everybody and we encounter is more often than we are aware of. Karin Müller has worked as a journalist for newspapers and radio. She is the author of many successful books for children, especially those with an equine theme.